Mother nature is so amazing, I am always excited when we find a new creature in our gardens. This year we were lucky enough to find a sphinx moth fresh out of it’s chrysalis. Normally we end up with silk moths but never a sphinx. I used lots of background on this page. I wanted to pull details and textures from the oriental lily he is sitting on and also pull in the delicate nature with the flower ribbon and cheese cloth. I made a little video of the creative process. I hope you enjoy. I used colours and details that to add to the paper, the paper had paints splatters and I added more splatters with the Paint Stencil. I also found the perfect colour of embossing powder to match the frame with the background paper. I hope you enjoy this page, and how mother nature can be so fragile and delicate and yet so overwhelmingly beautiful. Thanks for stopping by today. Lemon craft: Everyday Spring 02, 04. Petaloo: Darjeeling Dahliahs Pink Darjeeling Hydrangeas Green, Embellishments Brads Shades of Green. Lindy’s Gang: Cosmopolitan Pink, Peony Scarlett Red, Bells if Ireland Green, Merry Go Round Green Embossing Powder. This entry was posted in Challenges, Creative Embellishments, Scrapping and Crafting and tagged Mixed Media, shabby chic. Bookmark the permalink. Absolutely gorgeous page Heather! Thank you for playing along with us at More Than Words! So beautiful!!! Love it! 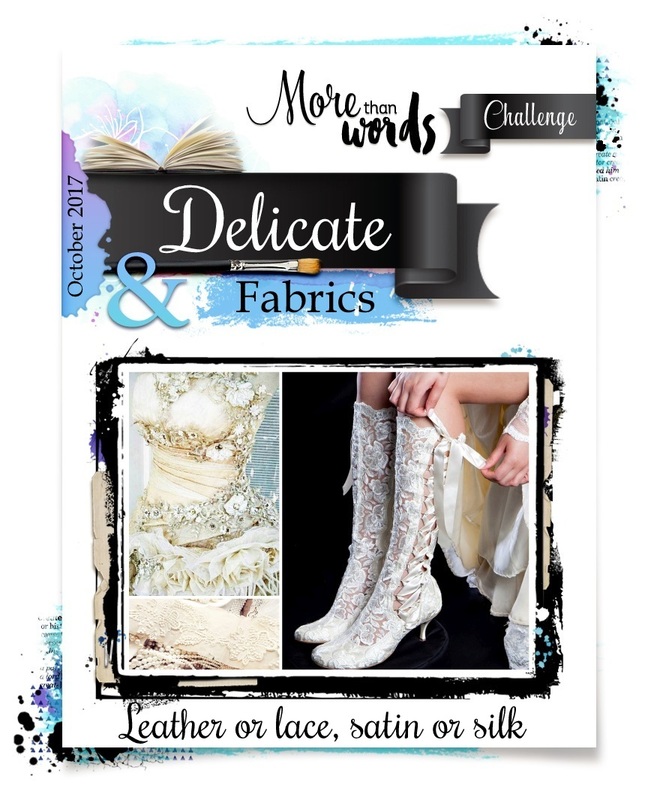 Thank you for playing with us at More Than Words challenge! Thank you so much Val!!! Thank you so much such a great challenge. So beautiful and amazing layout! Great project! I love this! Thank you dear for joining us at MMP challenge! <3 <3 thank you Ola! Beautiful project Heather! so soft and delicate,love it! Thank you for joining us at MMP challenge! Lovely project! Thank you for joining us at MMP challenge!